A new lawsuit, filed electronically July 29, argues that the waiver program indeed is a sham, with little public information about how to apply for a waiver, and many applicants reporting either being denied without a chance to formally apply or having their applications stuck in limbo forever. Only a tiny number of waivers have been granted, says the proposed class in Emami v. Trump. Vox has a story. Though Emami is the first lawsuit over the travel ban to be filed after the Supreme Court ruled in Trump v. Hawaii last month, it doesn’t directly challenge the legality of the ban. Rather, it argues that the process for exceptions to the ban—one basis for the 5-4 majority’s ruling in the case—is deliberately designed to provide few waivers. The complaint notes that President Donald Trump’s third travel ban has been in effect since December of 2017, when the U.S. Supreme Court stayed injunctions issued by lower courts. Since that time, waivers are the only way into the United States for individuals from the “banned” countries—all majority-Muslim countries except North Korea, which already tightly restricts travel to the United States, and Venezuela, where only certain government officials and their families are banned. Waivers are supposed to be granted to people who do not pose a security or public safety threat, would suffer undue hardship if rejected and whose admission would serve the U.S. national interest. But those waivers aren’t truly available, the lawsuit charges, in part because waivers are denied without any meaningful individualized consideration. It says many visa applicants were told a waiver was denied before they’d even applied for one. In some cases, those were people whose visas were revoked after initially being approved. As of July 29, the complaint says, the rejection rate for people from banned countries was above 98 percent. Furthermore, the complaint says, there’s evidence that even the 2 percent who are cleared for waivers may not get visas because waiver applications are languishing in bureaucracy. The complaint quotes a sworn affidavit from a former consular official, Christopher Richardson, who told a different federal court that consular officers were ordered to find as few people as possible eligible for a waiver. If a person did meet all the criteria, he said, the application was to be sent to Washington, D.C. for a final determination. “There really is no waiver [process] and the Supreme Court was correct to point out that the waiver [process] is merely ‘window dressing,’” Richardson’s testimony says. The lawsuit says this has resulted in separation of multiple families. 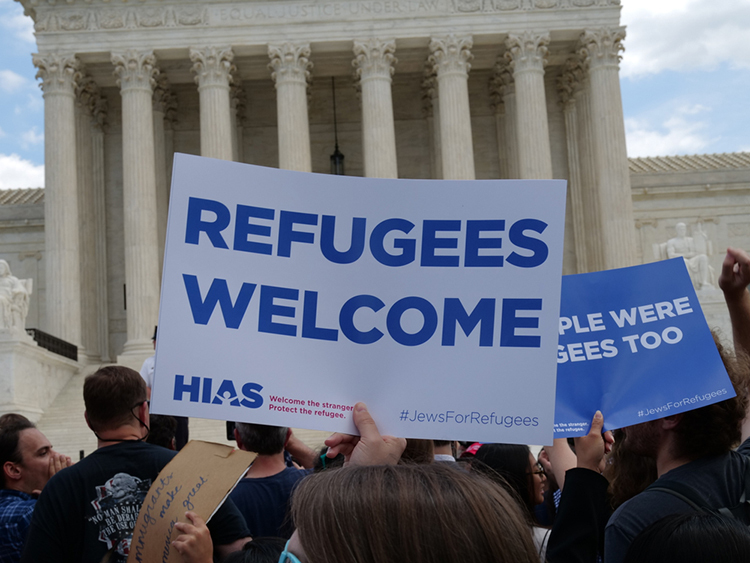 One plaintiff is a U.S. citizen who has been living in Djibouti with his Yemeni wife because her waiver was denied before she was able to apply for one. Their five-month-old son is a U.S. citizen who has never been to the United States. Several others are U.S. citizens forced to become single parents or separate from their children because their spouses or children are stuck overseas, sometimes in dangerous situations. Several other plaintiffs are people who were approved for “extraordinary ability” EB-1 visas—the same kind of visa granted to First Lady Melania Trump—because of academic or artistic work, but who were denied visas. One was outright told he was being rejected because of the travel ban, but not permitted or instructed in applying for a waiver. The plaintiffs allege that this violates the Administrative Procedure Act, the Immigration and Nationality Act and their due process rights under the Fifth Amendment. 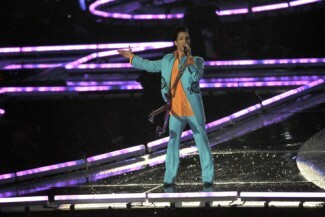 The estate of the late recording artist and actor Prince is suing an Englewood, New Jersey-based domain broker for cybersquatting the prince.com website. Filed last Wednesday in the U.S. District Court for the District of New Jersey, the suit alleges that Domain Capital is infringing on the estate’s “PRINCE” trademark by owning the domain. Legaltech News has the story. Born Prince Rogers Nelson, the artist came to prominence in the late 1970s and early 1980s, and was the driving force behind the 1984 soundtrack and film Purple Rain. Prince died at 57 of a fentanyl overdose in 2016 at his Paisley Park recording studio in suburban Minneapolis. His estate owns three trademarks under the Prince name. The complaint alleges that Domain Capital provides a lease-back program where an owner of a domain sells the digital property to the company and the company then leases it back to the original owner for continued use. This provides a heightened level of privacy for the original owner. This is the arrangement between the unknown original owner of prince.com and Domain Capital. The complaint did not say how the defendant had profited from this transaction. Prince.com does not currently return a result when typed into a browser. Plaintiffs requested immediate and permanent injunctive relief, transfer of the domain, damages and attorneys’ fees. The suit is being brought under the Anticybersquatting Consumer Protection Act. Passed in 1999, the law created a federal cause of action if a domain name was registered, trafficked or used in a way that infringed upon a trademark or personal name. Since Prince’s death, his estate has filed a flurry of lawsuits both big and small. In 2016, the estate sued media mogul Jay-Z’s Roc Nation, a company that owns the online music streaming service Tidal, for copyright infringement, according to the Hollywood Reporter. The same publication reported that a settlement was reached earlier this year. In late May, the estate sued an Oklahoma man for copyright infringement after he posted some of the artist’s videos, Billboard reported. After reviewing probate documents, the Chicago Tribune reported that Comerica Bank & Trust and its attorneys, which include Fredrikson & Byron, have been paid $5.9 million in fees and expenses. Prince’s estate, estimated to be worth $200 million before taxes, is currently going through probate in Carver County District Court in Minnesota. 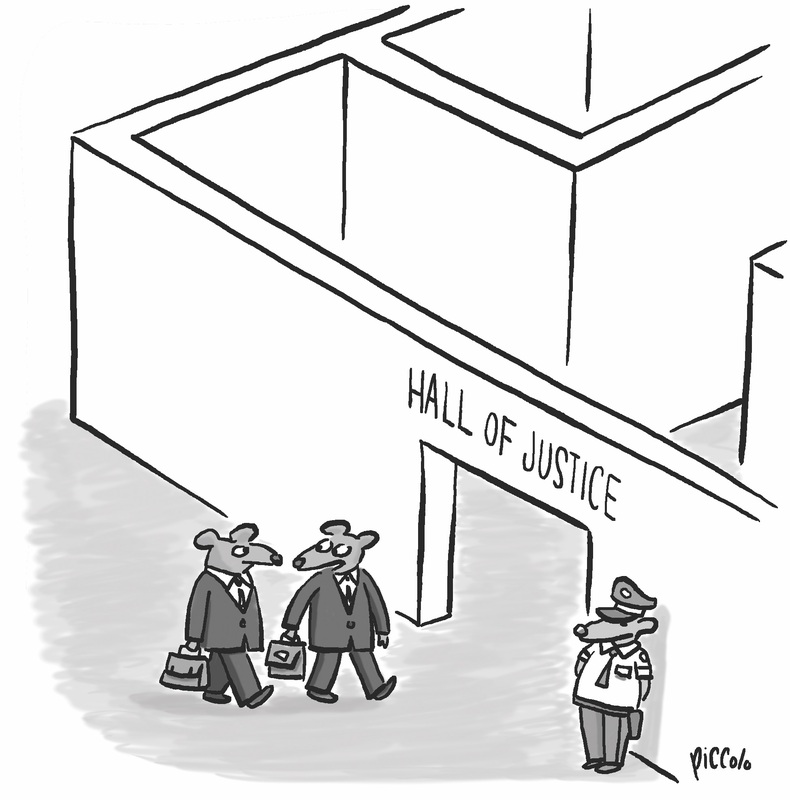 Posted by Contributor on Jul 31, 2018 in Elder Care | Comments Off on Cartoon Caption: Can these lawyer mice navigate this a-‘maze’-ing Hall of Justice? Will justice be found at the end of the maze for these lawyer mice? 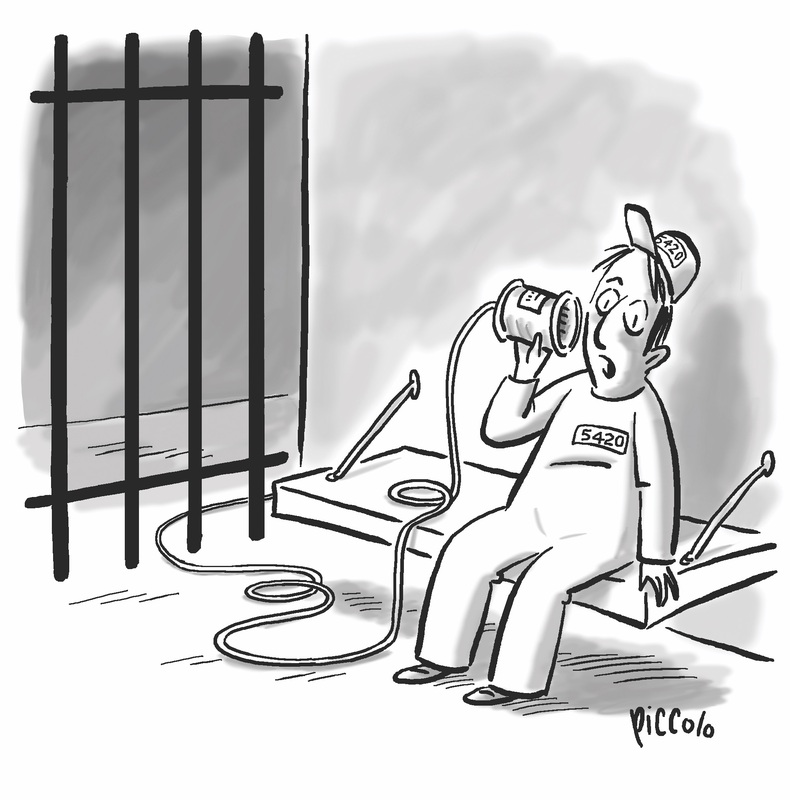 Send us your best caption for this month’s cartoon. The winner of our August challenge will see their caption and credit printed in an upcoming issue of the ABA Journal. Congrats to July’s winning contest contributor, Matthew Pagano of Staten Island, New York. His caption below will appear in an upcoming issue of the ABA Journal. How to enter: Submit the caption you think best fits the scene depicted in the cartoon above by emailing captions[at]abajournal[dot]com with “August Caption Contest” in the subject line. Deadline for entry: Contest entries must be submitted by 11:59 p.m. CT on Sunday, Aug. 12. If appointed to the U.S. Supreme Court, Judge Brett Kavanaugh could be less hospitable to gun regulation—and more likely to vote in favor of cert grants on gun cases—than the man he would replace, Justice Anthony Kennedy. In District of Columbia v. Heller, the landmark 2008 U.S. Supreme Court case that held the Second Amendment protects an individual’s right to own a gun apart from service in a militia, Kennedy joined the majority, but he reportedly insisted that the finding include language endorsing some regulation, including banning guns from government buildings, according to National Public Radio. In a 2011 Court of Appeals for the District of Columbia finding for the case known as Heller II—which challenged a District of Columbia gun regulation ordinance following the U.S. Supreme Court case, and was brought by the same plaintiff—Kavanaugh wrote in his dissent that people can keep most guns, including AR-15 rifles, the Associated Press reports. However, Kavanaugh also wrote that gun licensing requirements could promote firearm safety, by mandating tests and setting standards for obtaining a gun license, notes David Kopel in a piece for the Volokh Conspiracy. “Licensing requirements mandate that gun owners meet certain standards or pass certain tests before owning guns or using them in particular ways. Those laws can advance gun safety by ensuring that owners understand how to handle guns safely, particularly before guns are carried in public,” Kavanaugh wrote. His dissent stated that registration requirements were different than licensing requirements, in that registration rules don’t ensure owners know how to use guns safely in the same way licensing requirements can. Kavanaugh has a more detailed record on gun control findings than any other U.S. Supreme Court nominee, according to Kopel, research director with the Independence Institute, a conservative nonprofit. “Judge Kavanaugh’s text, history, and tradition methodology for Second Amendment cases will not please people who believe that all gun control is impermissible, nor will it please advocates who want to make the Second Amendment a second-class right,” Kopel wrote. Holland & Knight’s new Philadelphia office has doubled its headcount after siphoning another 12 lawyers from Reed Smith. The office launched with 11 former Reed Smith partners and one of counsel on July 10, the Legal Intelligencer reported. The expansion includes 11 direct transfers and one attorney who had worked at Reed Smith previously. According to a press release issued last Thursday, newest hires practice in corporate, mergers and acquisitions and securities, executive compensation and employee benefits, banking and financial services, healthcare and life sciences, labor and employment, and commercial litigation. The recent transfers made up just under 10 percent of the practicing staff at Reed Smith’s Philadelphia office. A total of 115 practicing professionals with partner, associate and counsel titles are currently at the office, according to the firm’s site. 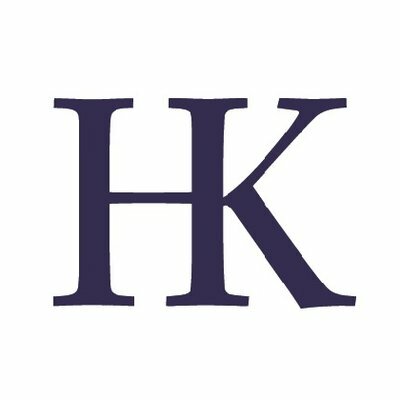 Law.com reports that Holland & Knight has been steadily adding to its headcount since 2012, growing from 908 partners and associates to 1,079 this year—an increase of nearly 19 percent. During the same time, Reed Smith has had mixed growth, starting with 1,486 partners and associates in 2012 the firm climbed to 1,638 in 2015 before coming back down to 1,550 this year. This is likely not the end of Holland & Knight’s Philadelphia expansion, John Martini, executive director of the firm’s Center City office, told the Legal Intelligencer. “We have some exciting people in the wings,” he said, which include “blockbuster names,” according to the report.